A short but extremely successful session for these two experienced anglers with 3 x 40’s, 11 x 30’s and cats to 70lbs. After a splendid start to the season, Ed & Richard return for their third trip to Beausoleil and used their experience to great effect. Ed took the unique opportunity to bivvy up on the island (normally banned). This gave him a whole new way to approach the venue. The fish were certainly caught off guard and Ed’s first carp was one of our sought after 40’s! Richard set up camp in the Point Swims but fished to the dam wall margin which I don’t see many anglers do. We’d already seen carp kick up silt along this margin on the walk around so it was an obvious choice. 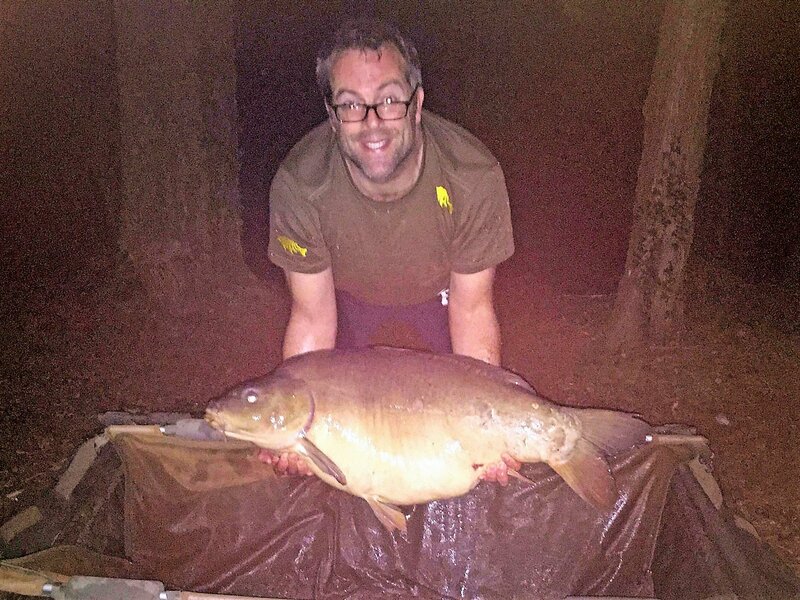 Richard put his faith in our rigs and bait and both served him well as he banked three on the first night! I’ve been doing formal carp fishing tutorials for a few years now and Richard and Ed were actually my first official “students”. 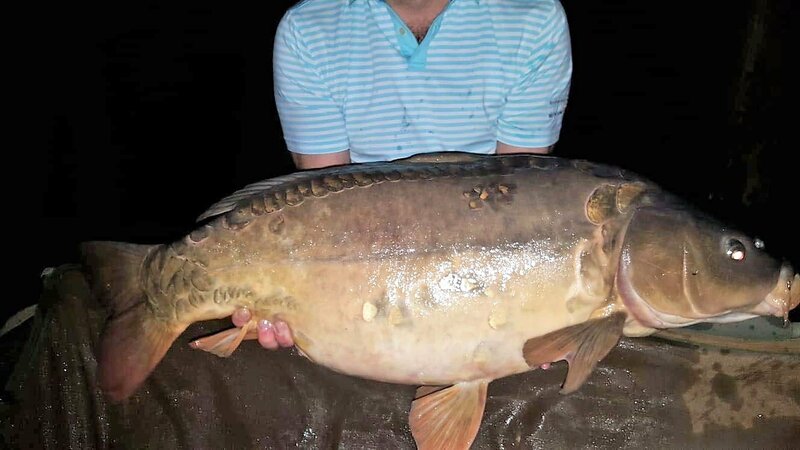 Although they were both already very accomplished course anglers and had already caught plenty of carp, they wanted to up their game and everything we covered during that 24 hr session still serves them well everywhere they fish. Ed is currently making himself deeply unpopular (much to his amusement) on his syndicate water. 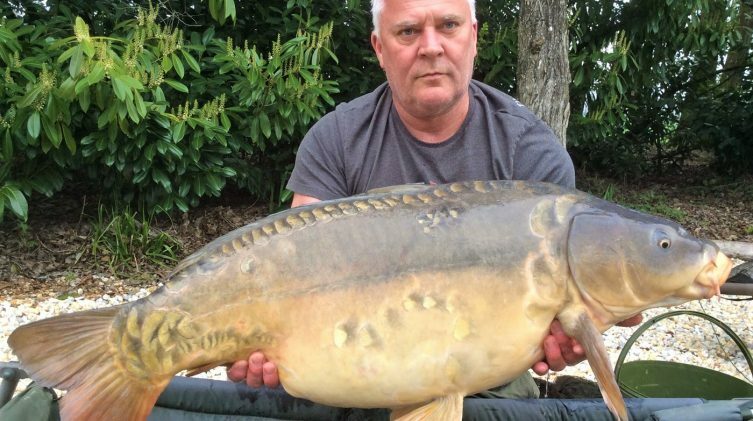 Since he joined last June, he’s banked 55 carp, the next best angler has banked 7…. 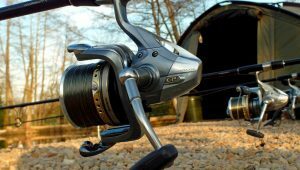 Carp are not difficult to catch but you have to do the basics right and this is where anglers can get lost in the carping mist. 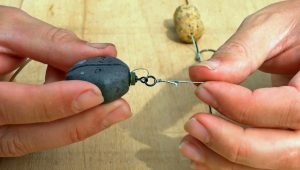 Strong knots, ultra sharp hooks, simple well tied rigs and an effective baiting strategy are all you need. Oh damn, now I’ve given all my secrets away! 3 x 40’s in a few days! Ed had an incredible session and is the first angler to my knowledge to bank three different 40’s in a week. 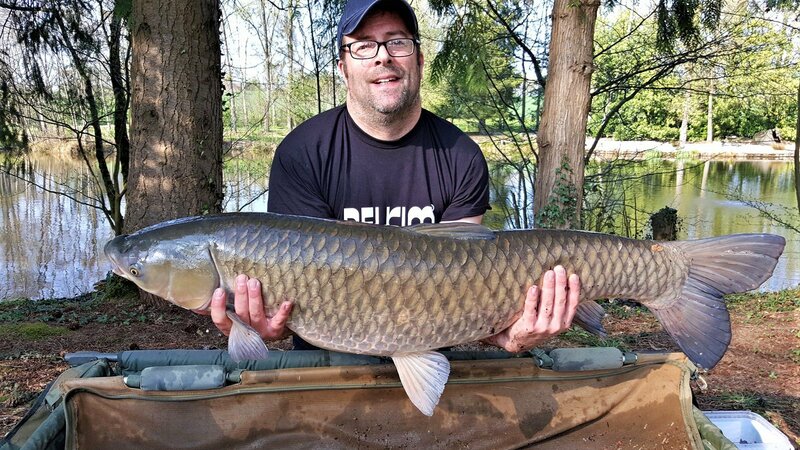 One of them was the sought after Perla (the grass carp) who managed to avoid capture for the whole of last year. She’s up in weight again so it’s not like she hasn’t been eating! This is a classic tactic and one I use regularly here. 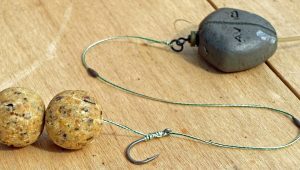 Ed’s a big fan and used multiple PVA mesh bags weighted with stones to create the effect. It’s a bit like the cup and ball magic trick. The cups (traps) all look the same but you know the ball (rig) is hidden in one of them! The carp know to expect danger from every pile of bait but their appetite and curiosity drives them to investigate them. The more safe piles they come across the more their confidence grows and the greater the chance of them getting it wrong in your favour. Richard’s pushing eighty but still has an incredible passion for the sport and an unquenchable thirst for knowledge. He’s been chasing carp and many others species for more years than most of us have lived for and still the fire burns strong within him. He prefers to get me to prep his rigs for him before the session and then maintains them himself during his time here. 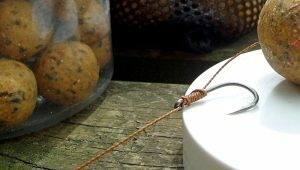 Armed with the right tools for the job, Richard caught a hatful of our carp and cats and in pure numbers actually outfished Ed (that takes some doing!). Richard used a bait boat to drop small traps to his carefully chosen locations then scattered a few freebies about. If I’m still as capable angler at his age I shall be a very happy man! 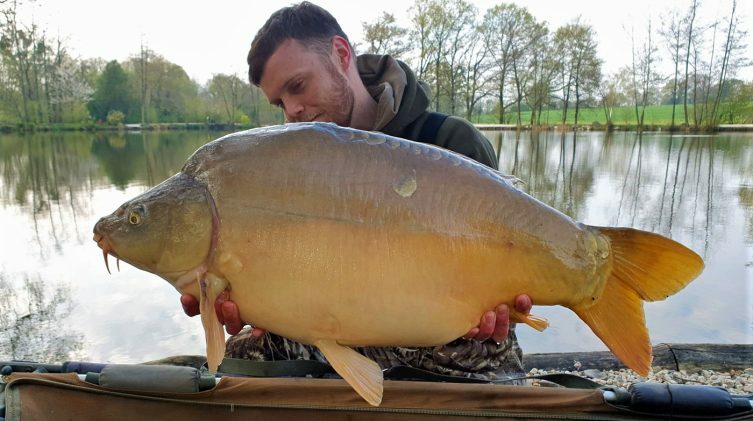 By Thursday morning, they’d caught a ridiculous number of big carp and cats and when they woke to a very heavy frost and with the prospect of more to come, they decided to head for home. It won’t be too long before we see them again though as I’m taking them on a week’s river carping adventure in June! It was an absolute pleasure to welcome these guys back to the venue and we are really looking forward to seeing them again soon! For Richard the best spot was the sluice fished from point ‘C’. Ed fished from the island mostly under the rod tip and to the rock spot. Top place to fish for intermediate level anglers. Had good tuition on site. Fish are in perfect condition, pristine in fact.